San Francisco palm expert Jason Dewees, of Flora Grubb Gardens, recently visited Tokyo, the Seto Inland Sea and Yakushima, and documented his horticultural findings on the International Palm Society’s travel forum. Together we created Palm Sundae several years ago in Northern California. Above is one of his photos. 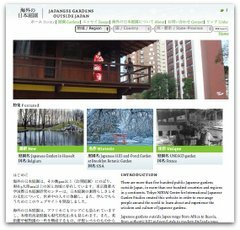 Packed with photos, Jason’s post is an expert traveler’s guide to urban trees and plants with a palm focus, as well as Seto Inland Sea palms and exotic plants found on Yakushima, Japan’s wettest place whose high mountains feature ancient Cryptomeria trees (commonly called cedar in English and sugi in Japanese). In Tokyo, Jason identified two main types of palm trees: Trachycarpus fortunei, self-seeding in roadside plant beds, in small parks, as well as in the wooded areas of Meiji Jingu, and Tracheycarpus wagnerianus in residential gardens. Trachycarpus fortunei is known in Japanese as shuro (シュロ, 棕櫚), and has been used for many traditional crafts including paper making and brooms. Jason also discovered and photographed in Tokyo potted and in the ground Rhapis palms, both common and unusual. At the Kawagoe festival, or omatsuri, last weekend, there was a small street full of plant sellers, including this one focused on succulents and cactuses. Other featured plants included chrysanthemums, many of them sold without plastic pots. Many neighborhood festivals include a group of plant sellers, in addition to portable shrines, street food and other activities. In the fall, views of Mount Fuji reappear in Tokyo. Summer is too hazy to see long distances clearly. Even in fall, the times you see Mount Fuji are unexpected, surprising and sublime. The view above and below is from our apartment balcony at sunset. There was a recent newspaper article about a Nippori, Tokyo neighborhood association‘s effort to save their view of Mount Fuji from a hillside named Fujimizaka, “the slope for seeing Mount Fuji.” The Nippori Fujimizaka is the last of sixteen hills named Fujimizaka in central Tokyo where the view has not yet been fully blocked by high rise construction. The Arakawa ward, where Nippori is located, would like to protect the views, but the Bunkyo ward, where the construction is occurring, would like the tax revenue from new construction. Although unsuccessful in preventing a 14 story building from blocking one third of the view in 2000, the Society to Protect Nippori’s Fujimizaka is organizing to protect the remaining two thirds view. The Mount Fuji view from Nippori was included in Hiroshige Utagawa’s famous woodblock prints of urban Edo life. The preservation leader is an 83 year old man named Kaneko Makoto. On my way to Nodai recently, I saw this wonderful old persimmon tree near a humble apartment complex. The bright orange fruit are beautiful, and I imagine that the neighbors enjoy eating them. Meiji Jingu last weekend had a fall ikebana display. This was my favorite combination of fall foliage and bright contrasting flower, with an understated ceramic vase. It was fun to see the extremely stylized ikebana in the forest of Meiji Jingu, next to the shrine with its enormous trees and the endless procession of Sunday weddings shielded by giant red umbrellas and thronged with photo-snapping tourists. The ikebana display was a mostly ignored moment of quiet dignity amidst the clash of tradition and modernity, upper class families and international tourists, sacred, stylized and natural. Fall has been wonderfully mild, with the zelkova (keyaki in Japanese) trees starting to turn yellow. Of the many ginkos (icho), I have seen just one already turned yellow. Interesting New York Times article about how zero waste is moving from fringe to mainstream, including Yellowstone National Park (plant-based cups and utensils), an Atlanta restaurant (composting on premises), and Honda North America (no packaging means no dumpster at factories). Food waste, 13% of United States trash, releases methane– a climate warming, greenhouse gas– when sealed in landfills without oxygen. Composting provides non-petroleum fertilizers. Other initiatives include bio-degradable packaging, recycling, and re-using. Diane Durston will be speaking on Wednesday, October 28, 2009 at the International House of Japan. Her talk is entitled “Bringing Old Kyoto Home: Author Re-invents Japan in a Pacific Northwest Garden.” She will talk about preservation of Kyoto historic buildings (Kyo-machiya and machinami), and how she has brought Japanese craft and culture to a wide variety of United States forums and audiences. Diane is currently the Curator of Art, Culture and Educator at the Portland Japanese Garden, the finest Japanese garden in North America. She is the author Diane of many books and articles, including Old Kyoto, in print since 1986 and the current second edition with a forward by Donald Richie. Previously she worked with the Metropolitan Museum of Art, the National Gallery of Art in Washington, the Whitney Museum, Yale, and the University of Pennsylvania.